$129.00 In stock. Order in the next 1 hour, 15 minutes and it will go out today! In stock. Order in the next 1 hour, 15 minutes and it will go out today! 2. Time Mentality - How to use your time productively to get more work done in a week than most magicians get done in a year. 3. Money Conscious - The key thought patterns successful people have about money that allows them to make more of it. 4. Marketing Mindset - Training your brain to think about marketing all the time so you can get more high paying gigs than other entertainers. 5. The #1 Business Skill - If you don't master this skill then your business will die. Magicians don't book gigs because they don't know how to use this skill. 6. Autopilot Thinking - Developing the mindset that allows others to do the marketing for you so you can just do the shows. 7. Conversation Framing - Influence triggers that get people to hire you. 8. Will Smith Mentality - A breakdown of actor Will Smith's Mentality that comes directly from his interviews and how you can apply this to your business. 9. Paradigm Shift - Once you listen to this audio, you will never see your magic business as the same. 10. Hustle Mentality - Reveals the most important mindset that separates the super successful from the people who just get by. 11. Building Your Empire - Thought patters that will help you grow your business. 12. Entrepreneur Struggle - A no-holds-bar audio that gives you the truth about running a business. This is not for the weak. Have you seen the show Shark Tank? It's a show with millionaire and billionaire investors that get pitched by entrepreneurs who want to make their businesses more successful. This audio penetrates the mindset of these millionaire and billionaire investors so you can use their way of thinking and apply it to your business as an entertainer and speaker. 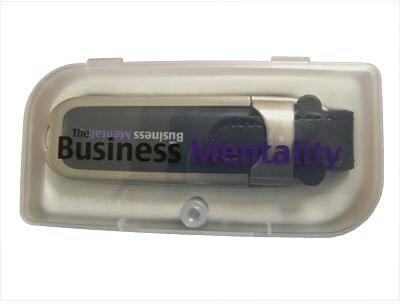 The Business Mentality audio course is for the serious entrepreneur who wants to run a business and not just be a magician. 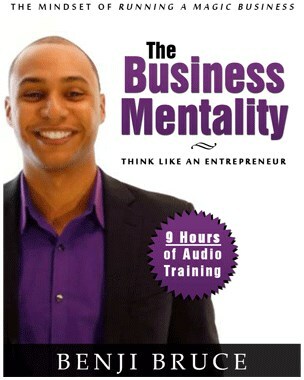 The audio course is designed to shift your mindset from that of an entertainer to the guy who is running a business. NOTE: This audio product comes on a custom made USB drive and requires you to have a computer.